Our format was straightforward, and our goal was clear: to see if our studio could help clarify a potent but increasingly elusive term in landscape discourse. Landscape urbanism as diagnosis relates specifically to Charles Waldheim’s academic analysis of post-industrial North American cities, described in many of Waldheim’s lectures and writings, such as his 2001 book Stalking Detroit. Waldheim describes the existing condition of metropolitan dispersion, which he argues has been caused by the decline of manufacturing, decentralization of transportation, and continued suburbanization. The term further recognizes the emergence of un-designed landscapes in the voids left by dispersion and questions whether the redevelopment of a dense, architecturally defined urban core is possible or even desirable in a declining, post-industrial city like Detroit. Landscape urbanism as framework and process also has strong academic underpinnings but asserts more pragmatically the role of ecological, economic, and social dynamics within cities. In doing so, it critiques both regulatory planning and the fixed, physical master plan that has traditionally dominated urban design. From this perspective, landscape is an appropriate lens for understanding the city not merely because it deals with natural materials, but because it explicitly addresses systems, process, and infrastructure. The last two definitions of landscape urbanism also present landscape as the framework for urban design, but for different reasons. Landscape urbanism as green infrastructure focuses on achieving environmental performance through landscape measures. 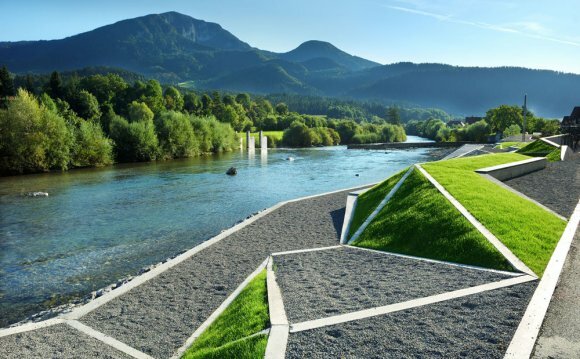 In this reading, landscape becomes not a metaphor for urbanism but an engineered device with strictly defined functions and measurable benefits. The discussion lasted long into the evening and will likely continue at the desks and in the halls of the studio. The next symposium in OLIN’s Theoretical Basis series is a discussion on systems and ecology. We look forward to another great conversation.